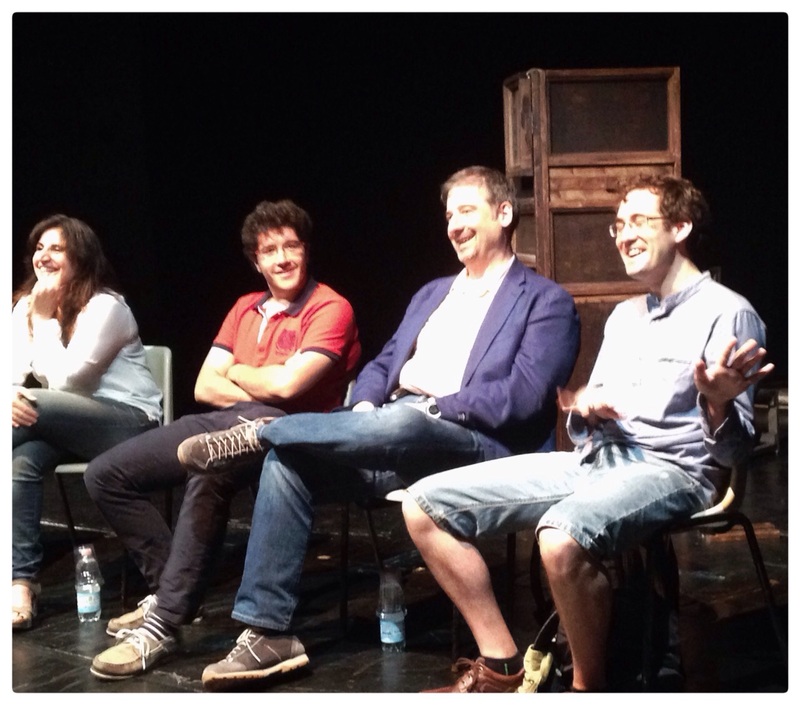 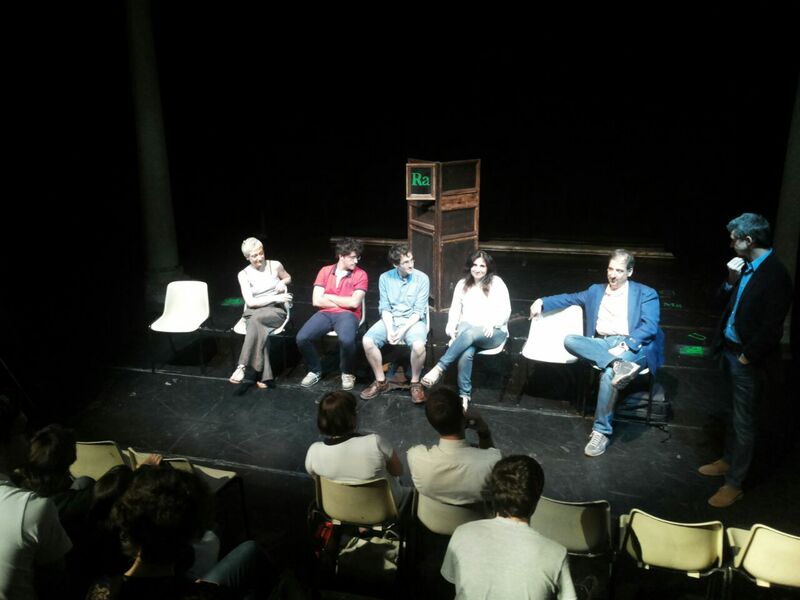 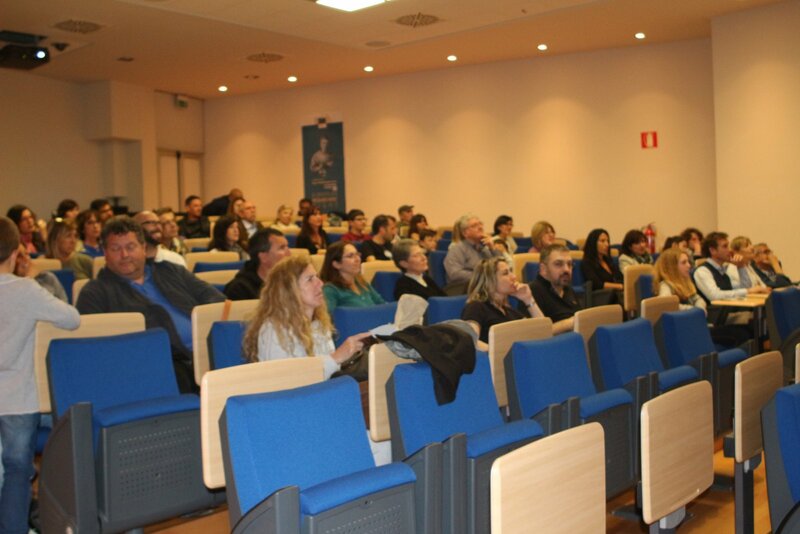 The participants to the round table for event of science and theatre "Marie Curie, a woman" (June 4th, 2015, Theatre Sant'Andrea, Pisa). 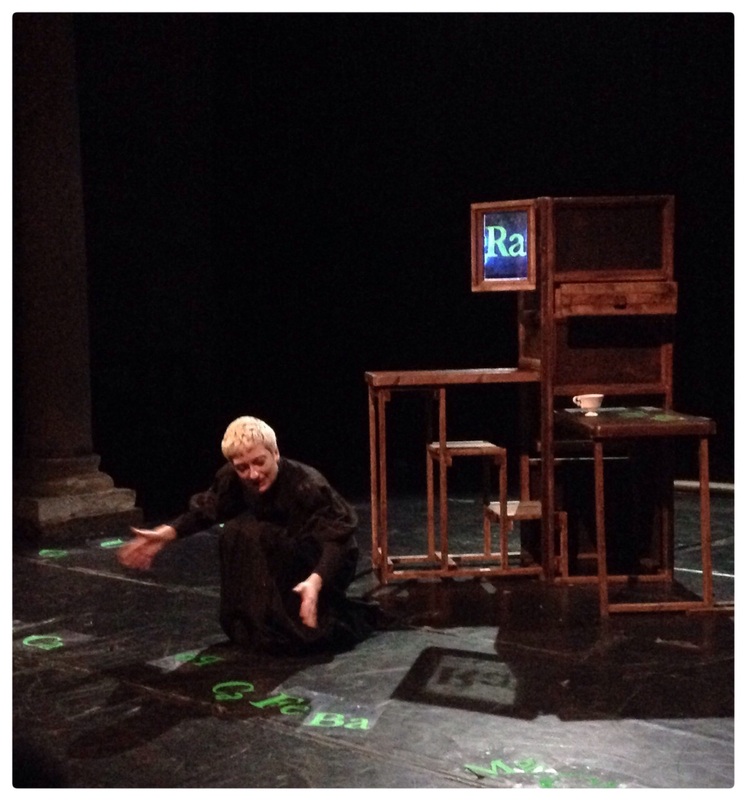 Actress Cristina Gardumi playing Marie Curie. 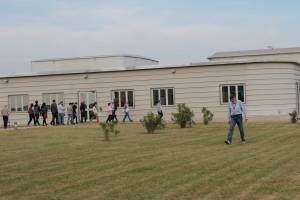 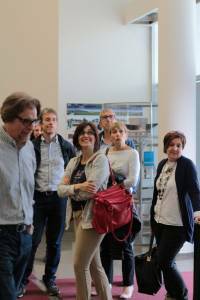 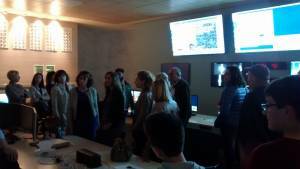 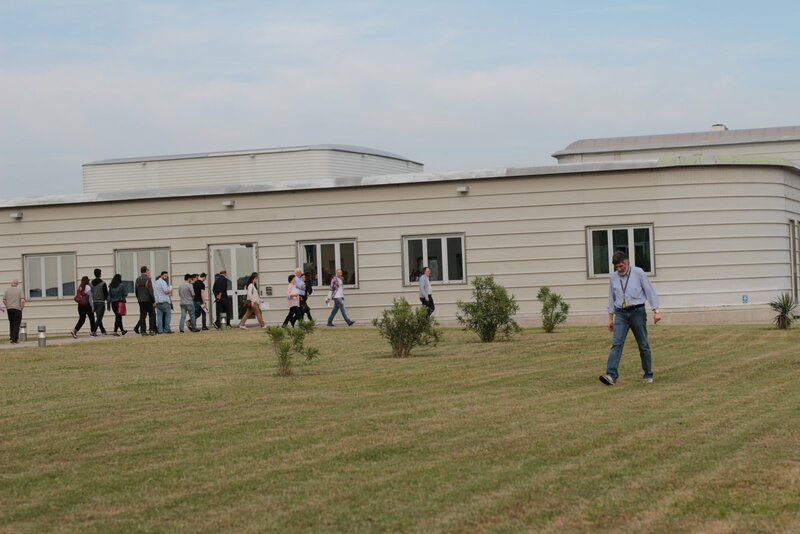 People in the hall during the Global Open Lab Days at EGO, May 2015. 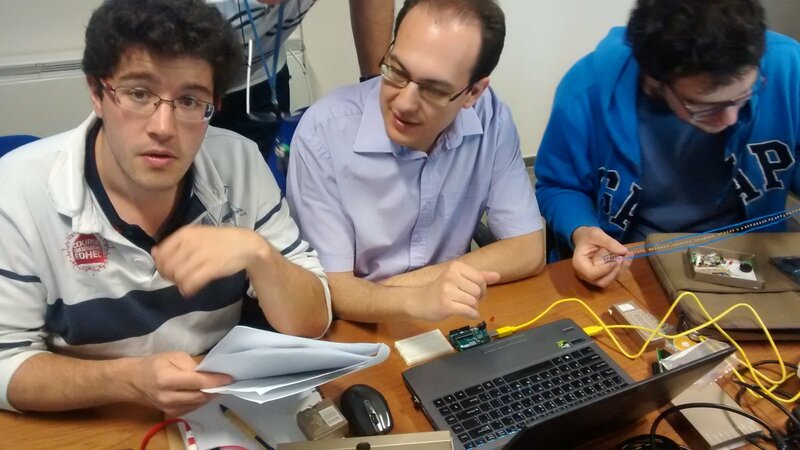 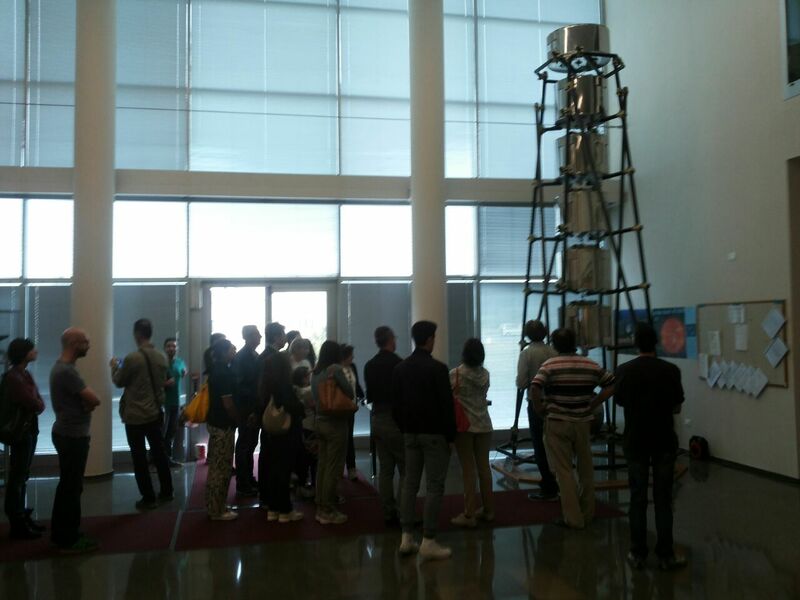 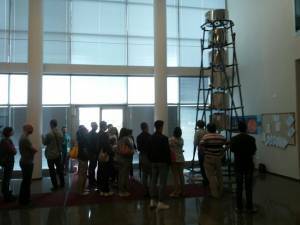 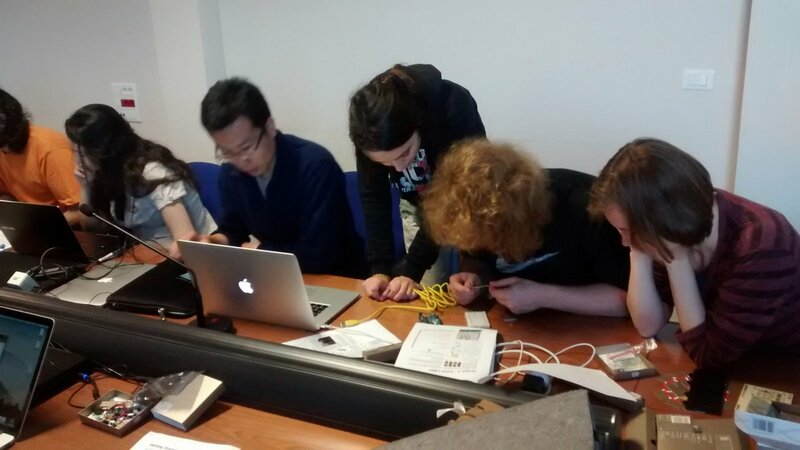 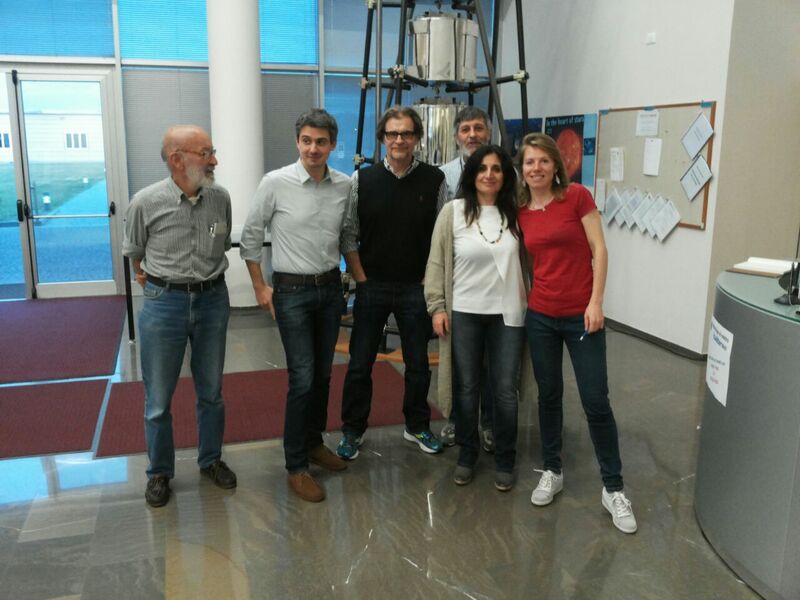 Looking at the Virgo payload during the Global Open Lab Days at EGO, May 2015. 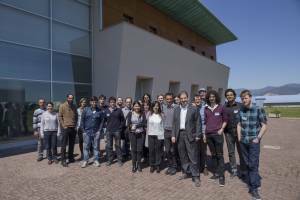 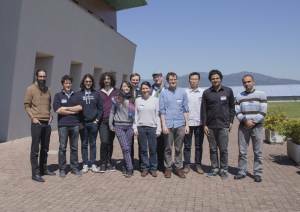 Part of the staff for the Global Open Lab Days at EGO, May 2015. 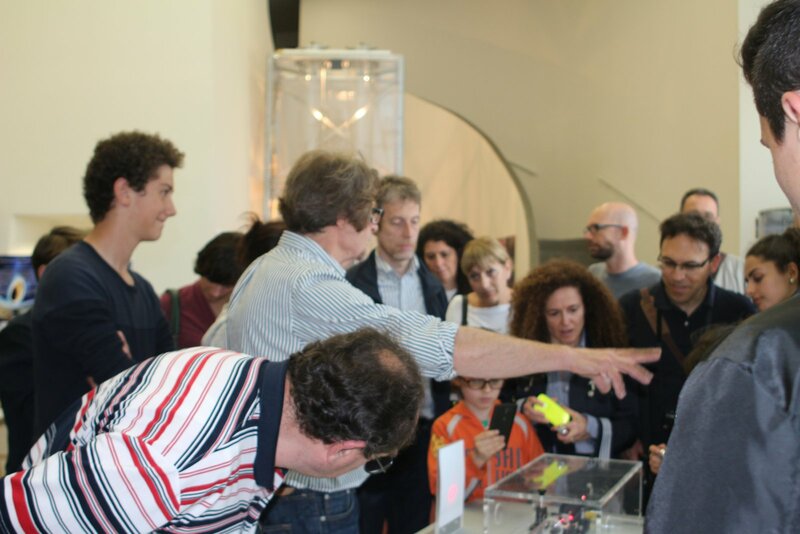 Explaining the first prototype of Virgo superattenuator during the Global Open Lab Days at EGO, May 2015. 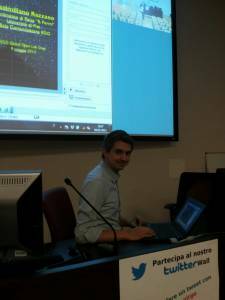 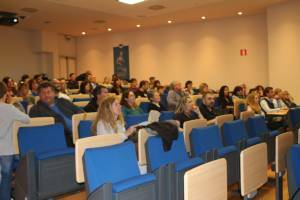 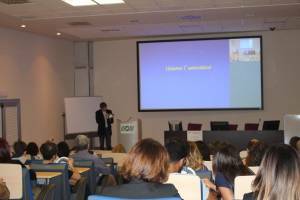 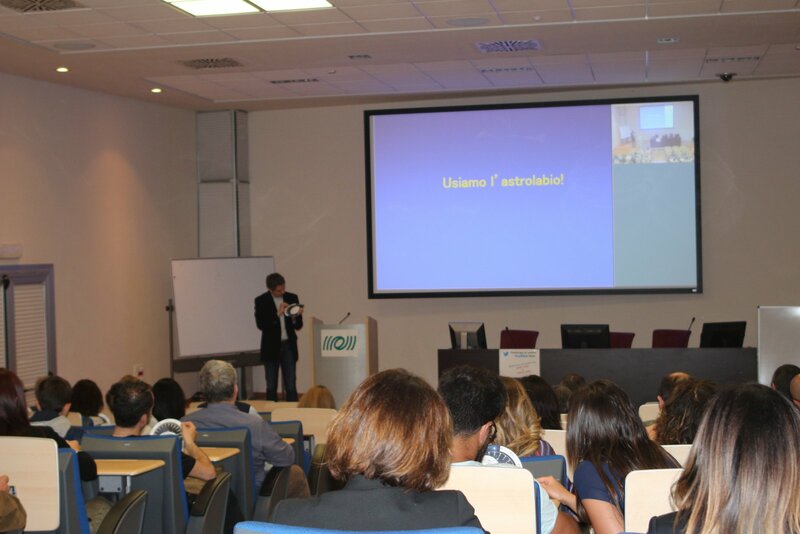 Listening to the Global Open Lab Day seminar at EGO, May 2015. 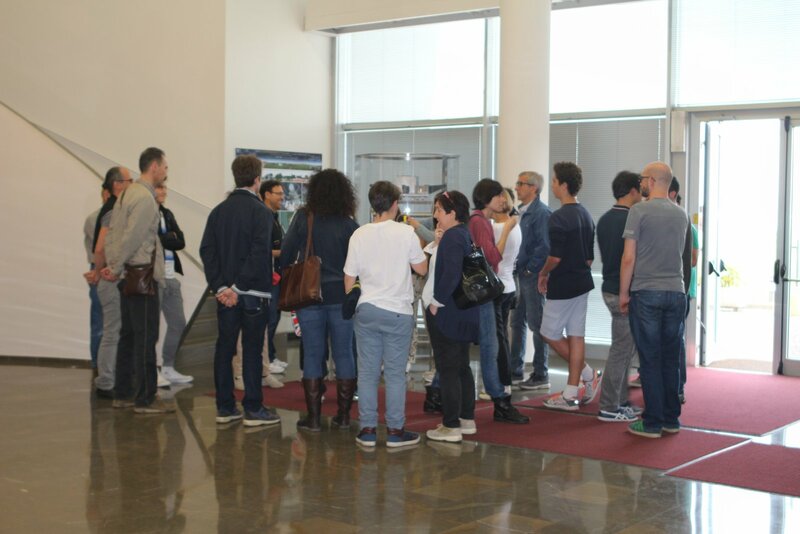 Discussions around the Michelson interferometer in the EGO hall during the Global Open Lab Days (May 2015).